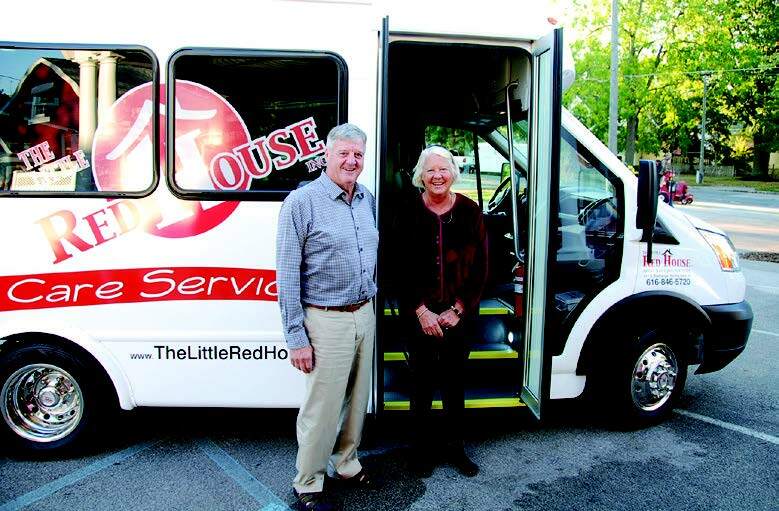 The Little Red House is a big-hearted and vibrant adult day care service, located in middle of Spring Lake, Michigan. Certified healthcare professionals provide care for many of the community’s most vulnerable citizens who cannot safely be left alone at home during the day due to Alzheimer’s disease, dementia, and other limitations. Serving adult residents of Ottawa and Muskegon Counties, The Little Red House also offers comfort, support and respite for caregivers and families. Schedule a visit today to experience our caring and safe home-like environment. an adult day care for our most vulnerable community population who are in need of a safe place because they can no longer be safely left home alone. adults connected, engaged, and active socially – especially those experiencing the many challenges that the aging process offers. that people want to “age in place” and remain in their homes as long as possible. The LRH is helping many in the community realize this goal. much-needed caregiver respite and support for many in our community who are caring for loved ones. At The Little Red House we strive to provide our participants with more than just their basic needs within the comforts of a home-like atmosphere. $14 provides one hour of adult day care to a community member in need. See for yourself a day in the life of The Little Red House. Watch as we show you specialized activities, nutritious meals, professional health care providers meeting our participant’s needs and much more of what goes on at The Little Red House. Enjoy! $55,000 for a new bus to transport our beloved participants. Listen to our Executive Director, Jody Herrelko, talk about the impact The Little Red House has on many families in our communities.